$500 car for a million dollars worth of fun. 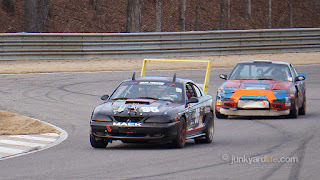 The 24 Hours of LeMons series hit Barber Motorsports Park in Leeds, Alabama to kick-off their new season on February 3-4 with the fifth annual ’Shine Country Classic. The circus of colorful, race-hungry, drivers and their makeshift pit crews brought race cars that looked as if they were built by clowns on steroids. The friendly, fun, action on the track in re-bodied, engine-contorted combos, made each worthy of up close inspection in the fan-friendly garage area. Let’s take a look. 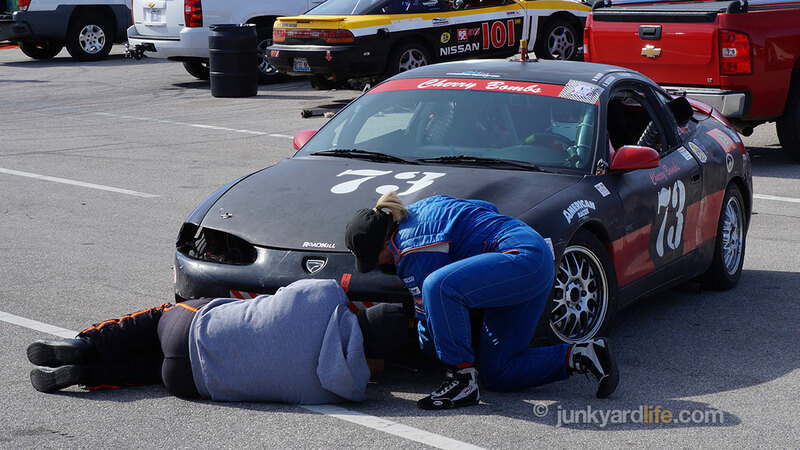 Deeznuts were taking a look at their Miata. On their hood, "No Goats, No Glory." 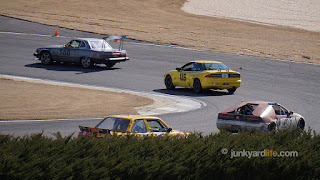 Randy Pobst, famed race car driver and Motor Trend journalist, hopped behind the wheel of the re-bodied Camaro/Cadillac Coupe SeVille at Barber Motorsports Track. Pobst was fast! The car won the Class A trophy. The 2.48-mile course at Barber Motorsports Park is technically challenging with 17 turns and 80 feet of elevation change. Cars were often pushed passed their limits and kicking up the dirt along the edges of the 45 foot wide track. 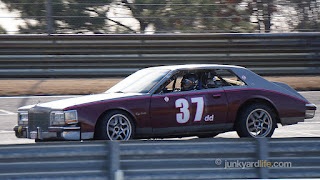 Randy Pobst spent a couple of hours behind the wheel of the #37 Cadillac. 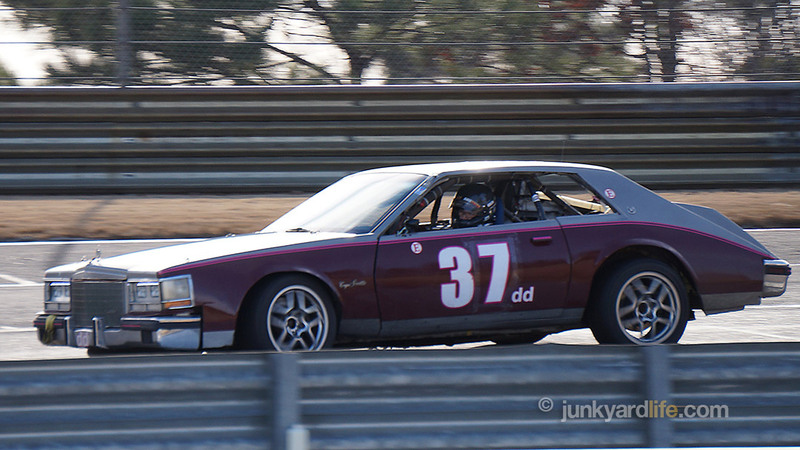 The Camaro-based Caddy hugs the turns thanks to the super low stance of the 1984 Camaro that hides under the heavily massaged bodywork. Big rear wing is good for spotting the car on the track. 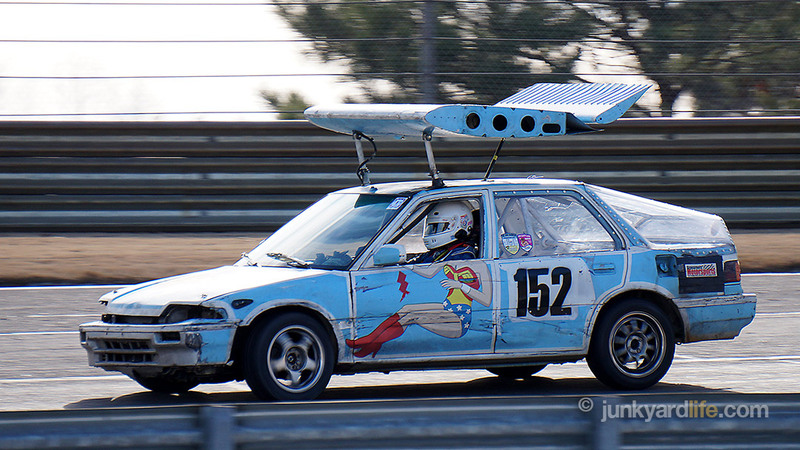 Not sure that the downforce is needed as much on the road course. Kudos to the ’Shine Country Classic for celebrating their fifth year at Barber Motorsports Park. 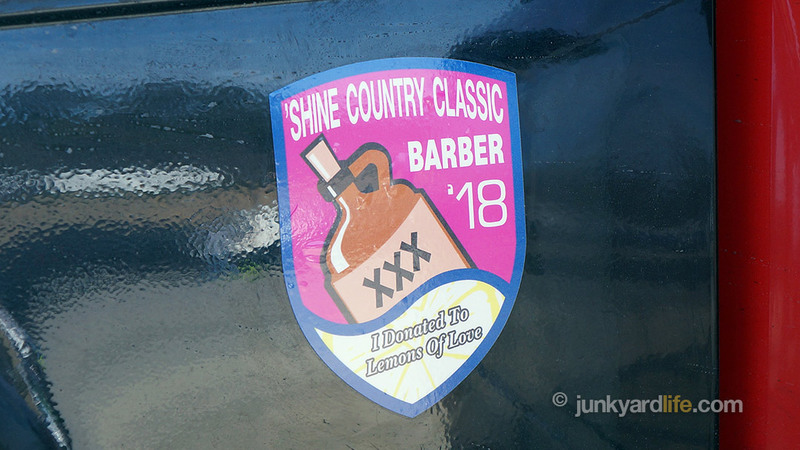 The LeMons series, noted for lowbrow humor and low-buck racing, is an odd pairing with the dignified, well-manicured grounds of the Barber facility. 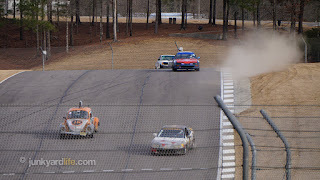 Imagine Talladega Superspeedway’s NASCAR fans allowed to race their own cars on the track. No dice, Bubba. That magic only happens at Barber. 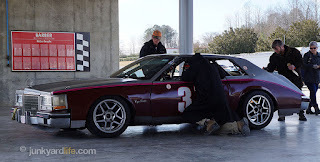 Done Racing’s AMC AMX "Alabama Made Crapcan" spent some time working out bugs in the garage area. The car’s custom fiberglass AMX body rides on a BMW Z3 that was pulled from Copart’s online junkyard. 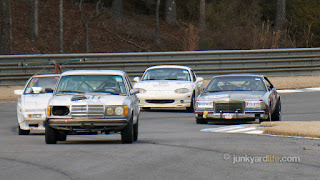 The Camaro-based Caddy was one of my favorite cars. At least four guys dedicated 600 hours to creating the 2-door masterpiece from a 4-door 1982 Seville. 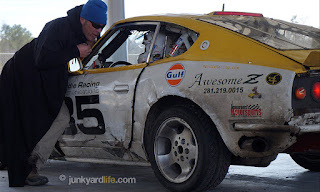 I couldn’t get enough of the 1972 Datsun 240Z built by Nerdie Racing. I envision the 240Z project I once owned in a new light. These cars look fast sitting still. Eagle Talon much? Don’t see these on the road... ever. 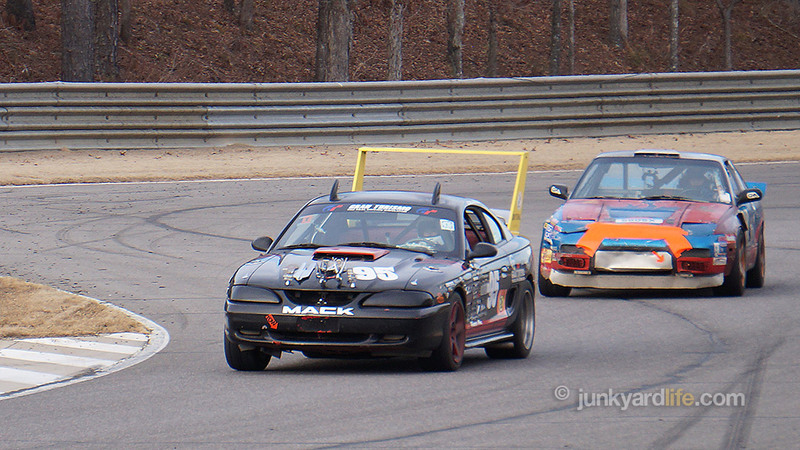 I’ll say this car did eclipse all the Mitsubishi Eclipses on the track. 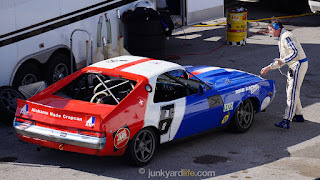 Walking through the pits, I chatted up up the driver/owner of the #47 TredWear Ford Pinto. The man chewing on the cigar said, "My name is Mike Hunt." Come again, I said. I thought he was kidding. He wasn’t. 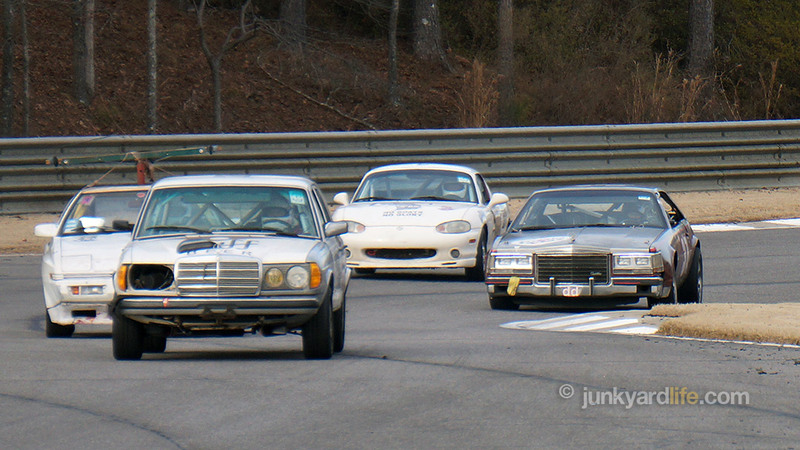 Mike Hunt races LeMons. Sharp turn, watch out for the Nissan 300ZX cockroach, or the Mercedes with giant wing. Yellow 1995 Ford Probe (center) was the Class B winner. 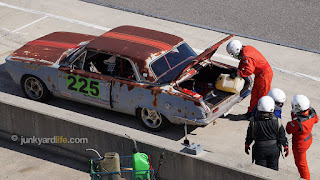 Plymouth Valiant with patina in spades, gets some fuel. 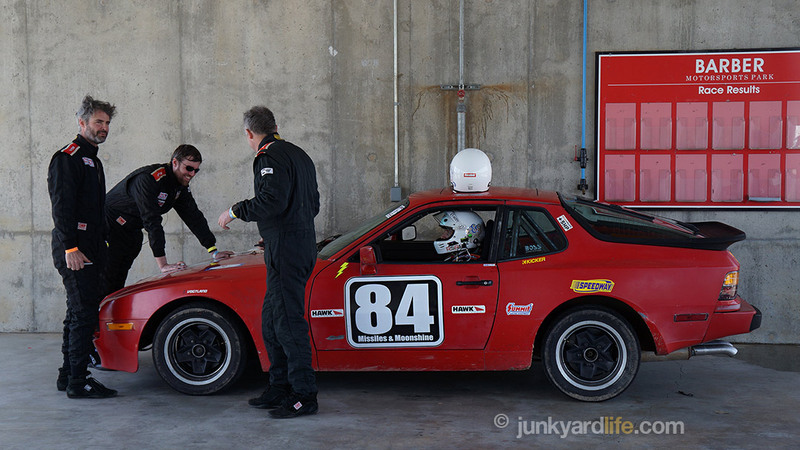 The Porsche 944 team was spotted in the penalty area. 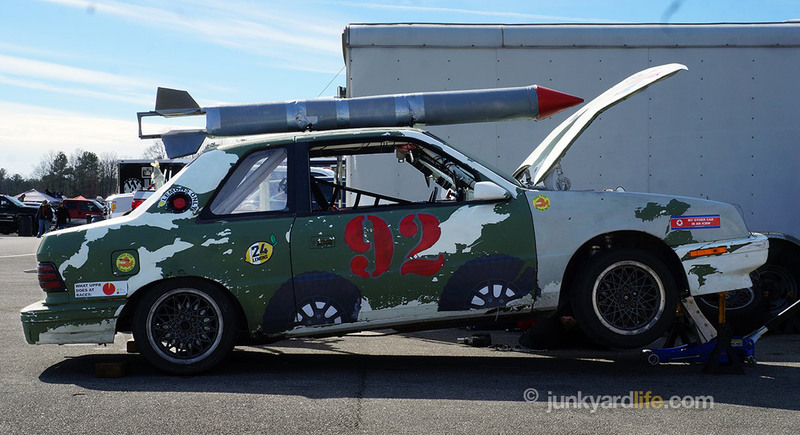 These guys had a missile on the roof, Donald Trump, and Kim Jong Un references all over their camo race car. 1983 Porsche 911 powered by a VW TDI turbodiesel engine was the Class C winner. 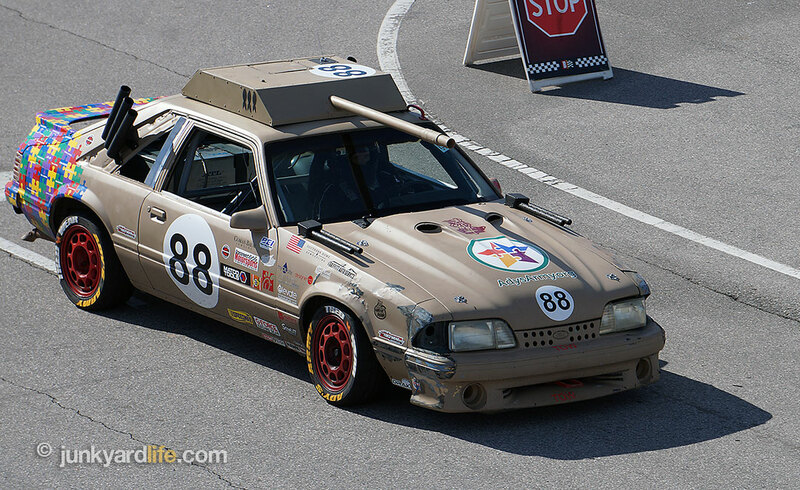 This Fox Body Mustang pulls off a great rendition of the tank theme. 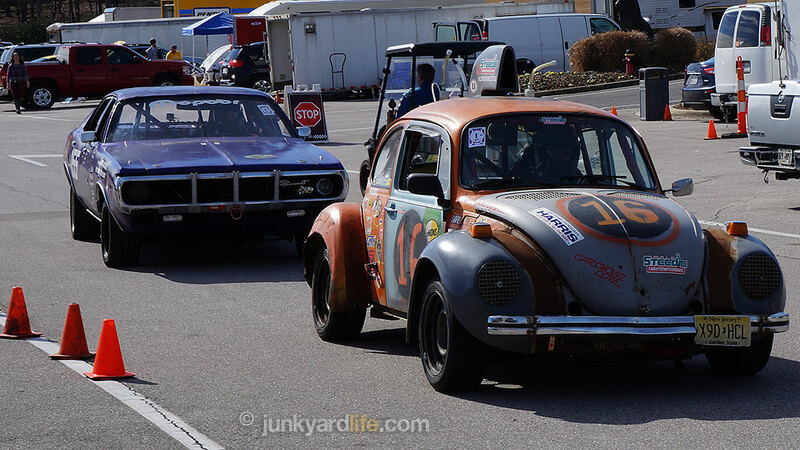 Look close and you can see that it’s Randy Pobst in the seat of the VW, ready for some hot laps. 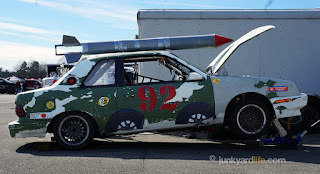 You can bet that I will be back to Barber to watch their next LeMons race. I can pay the $30 ticket price but an even better option would be if I watched the race on the track. It looks like such a blast racing on a world-class track with a bunch of crazies. I should put in some effort and build a $500-or-less race car with a lot of help from my friends. Stay posted. Check us out on YouTube, and subscribe! Thx! Holding onto history. 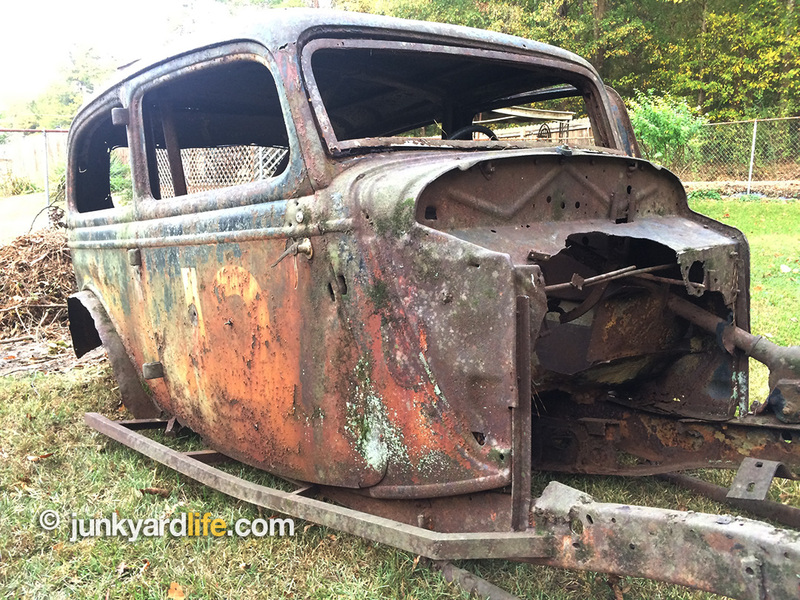 Hunting down the owner of a 1934 Ford, found in the woods can be tricky. 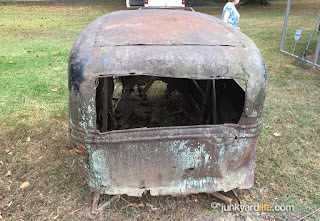 It took me five years to locate the owner of the property and convince them that I could, and should remove the "junk" car with the name ‘MASSEY’ painted on the roof. That was just half the battle. After fighting trees, a three-legged dog, and a small mountain, the car was finally mine. A few months later it would be gone, but that’s not a bad thing. 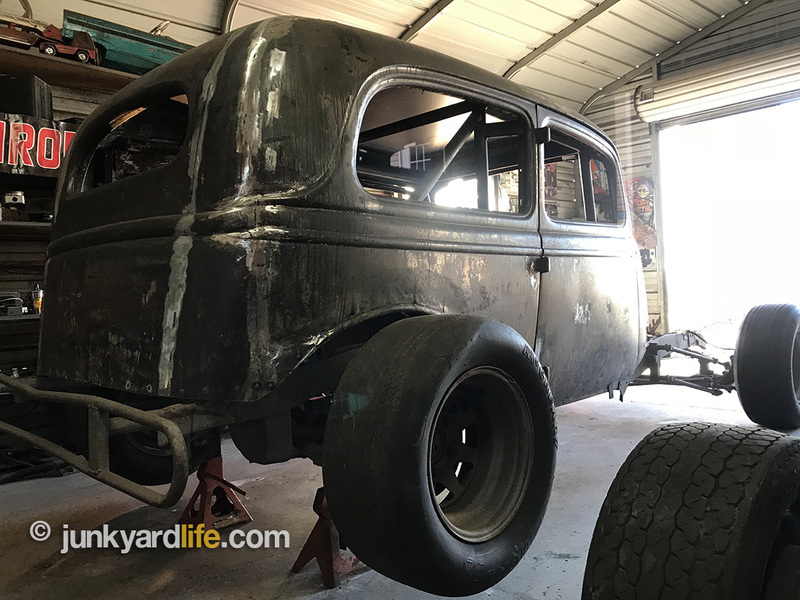 The battered old Ford is now back in the hands of a man who plans on restoring the car to its round track glory days. 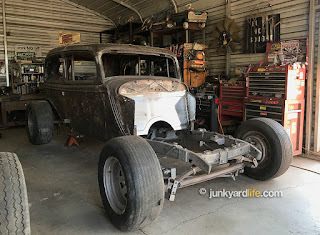 Mike Massey, the son of one of the car’s trio of former drivers, is well on his way to reviving the ’34 Ford found in the woods. 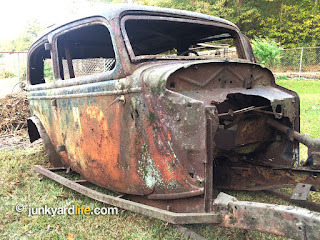 1934 Ford race car shows more than a few battle scars after decades in the woods. 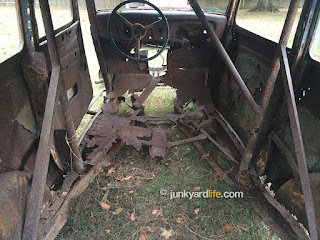 After tracking a link to a possible former owner, I decided to contact Massey Auto Parts in Locust Fork, Alabama. The lady on the phone gasped when I told her I had found an old race car with the name Massey on the roof. “Mike you’re gonna want to take this call,” she said. 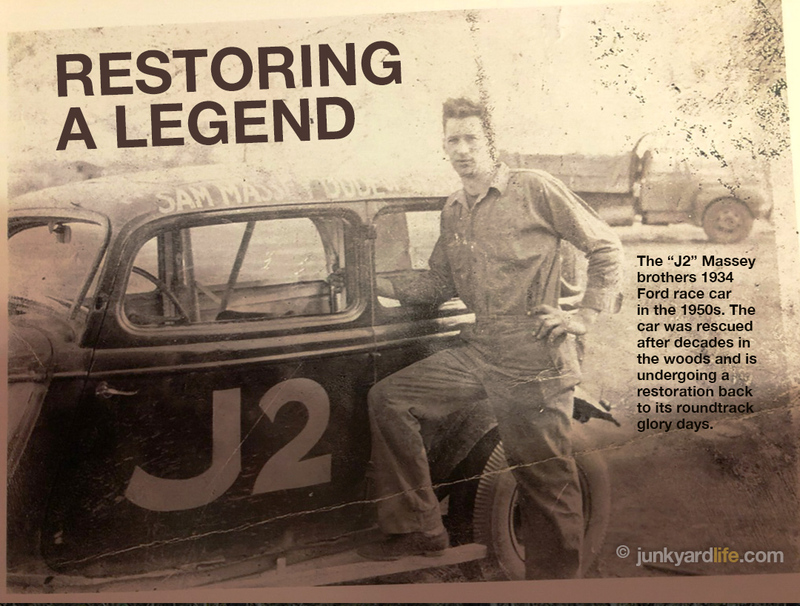 Mike Massey, 68, is the son of Sam Massey, one of the Massey brothers trio who took turns wheeling the 1934 Ford "J-2" race car around dirt bullrings in the Deep South during the 1950s. It wasn’t long before the pieces came together. I relayed my story. It was a jaw-dropper to them, because the family believed all the old Massey race cars were dead and gone. This one had slipped through the cracks or the trees, as it were. Joe, Sam, and Jack Massey took turns racing the ’34 Ford in the late 1940s and into the 1950s. Sam’s name is visible over passenger side door, Jack’s name over the driver’s door. The three Massey brothers, Jack, Sam, and Joe, are members of the Alabama Auto Racing Pioneers Hall of Fame. The extended Massey family, all aware of the historical significance and sentimental value of the ’34, wanted to see Mike get the car back. It didn’t take long to decide that I couldn’t keep a piece of history from a family who wanted to restore it. I was happy to play a small part, and let it go back to the rightful ownership. Mike Massey check out the work done to reinforce the body. 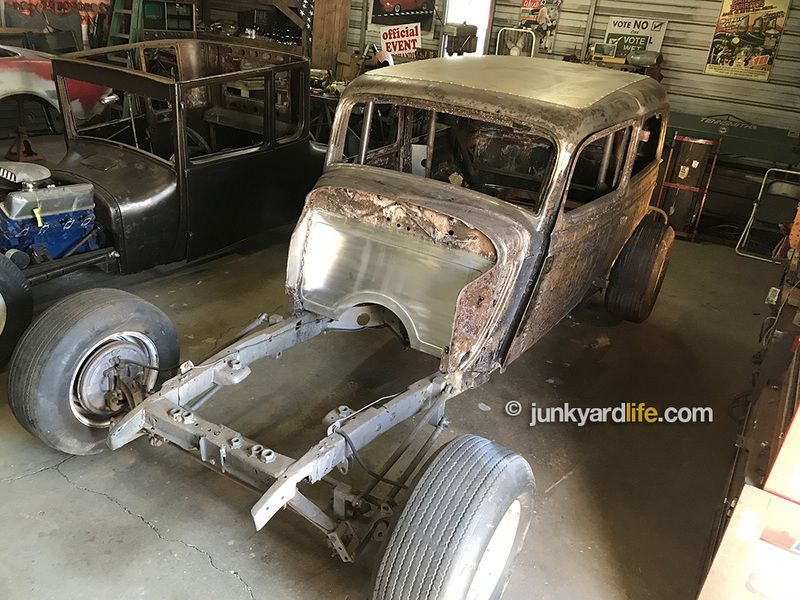 To say the ’34 Ford needed help is an understatement. Massey found a $250 replacement frame, courtesy of his friend Bobby Varnon, to start the rebuild of the race car. Major metal work was needed to stabilize and strengthen the rusty shell on top of the new, sturdier frame. Massey contacted Road Rage Hot Rod Restorations, located in Blount County, Alabama, who specialize in rat rods. 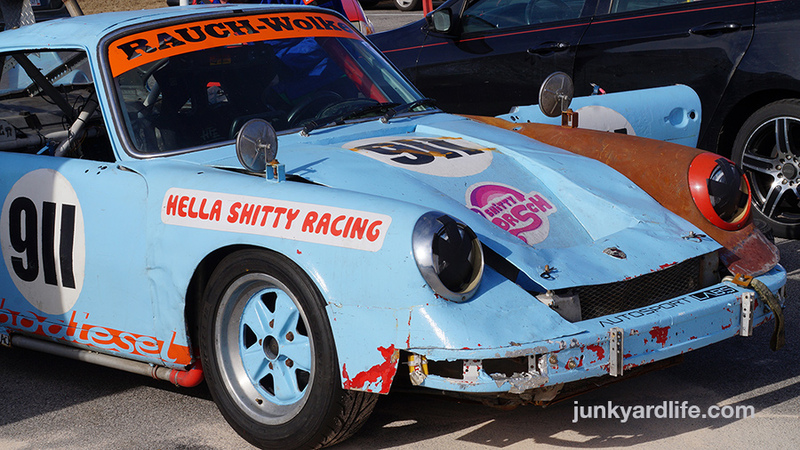 The owner, Kendall W., is an expert in crafting something good out of something bad. 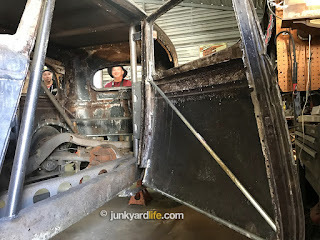 Kendall reinforced the doors and body shell with electrical conduit. 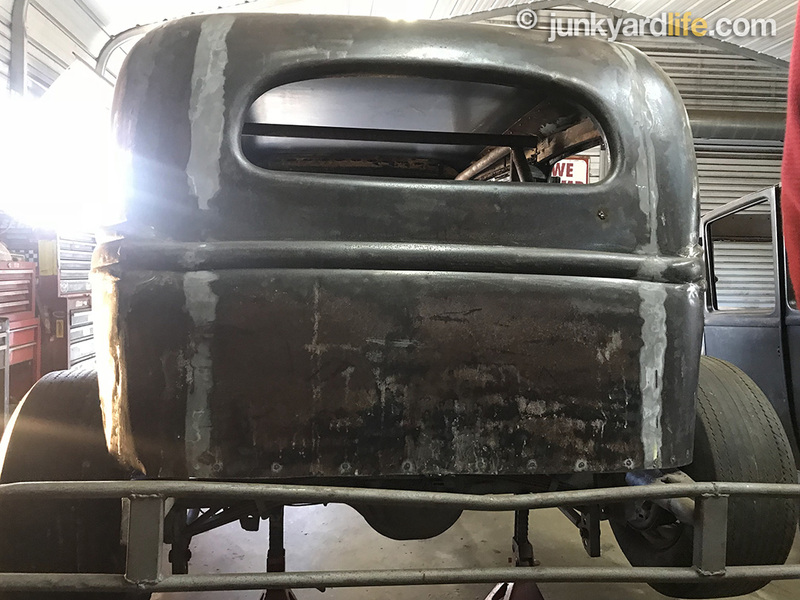 A new firewall, roof skin, and grafting a 1935 Ford center-section to the back panel of the body went along with the tons of patchwork that was needed. 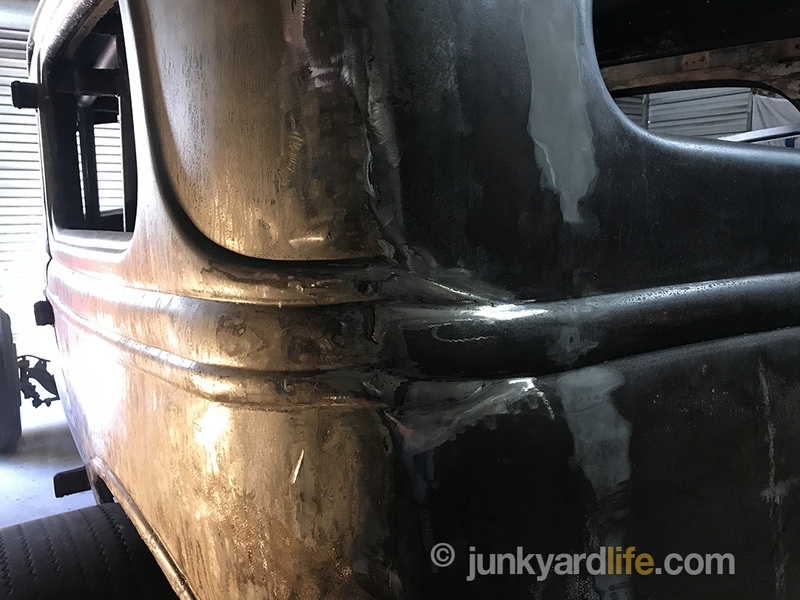 A new roll bar was also welded in place. Road Rage worked on the car off-and-on over the course of six months as Massey’s funds allowed. 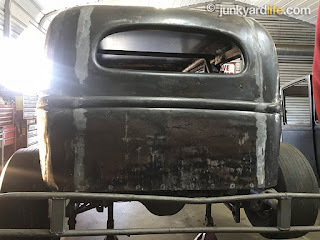 An acid treatment was applied before the ’34 was sent off to the body shop for paint. Restoring the ’34 as it was raced in the 1950s. Note the push bar. Smoothing out the bumps and bruises on the ’34’s body was not a high priority. Massey wants to maintain the original, rugged looks of the round tracker. He plans to have it painted the same colors it ran in the 1950s. All black paint and lettered with "SAM MASSEY ‘THE DUDE’ of the SPEEDWAY” across the roof. Period-correct seat, wheels, and powertrain are in the works. I can almost hear the sweet sound of a flathead V8. 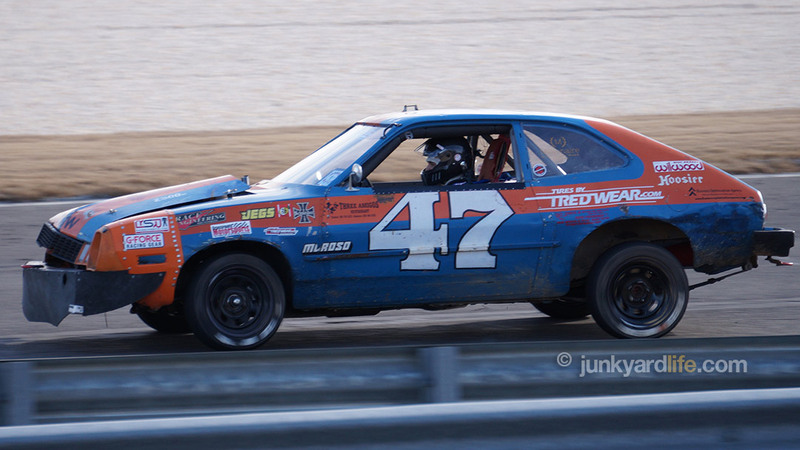 Never thought this old race car would be gone this fast. 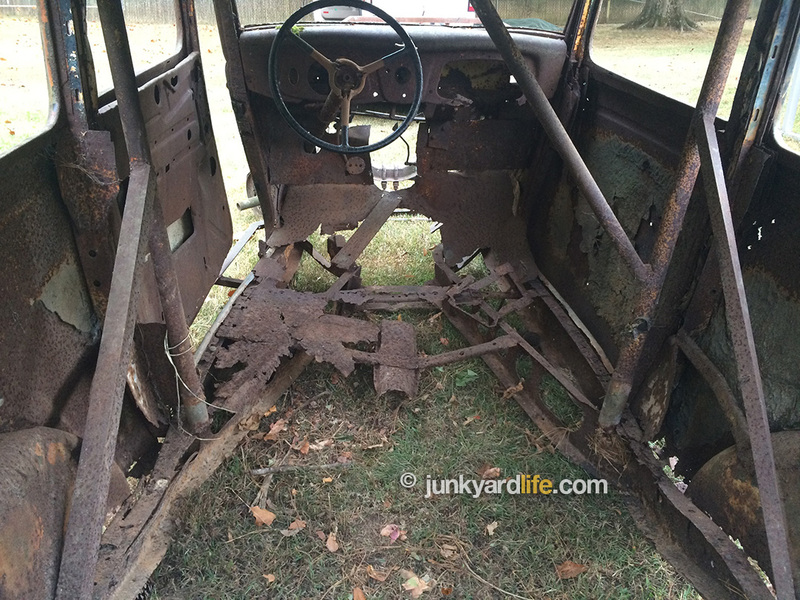 Stay tuned to Junkyard Life for updates. 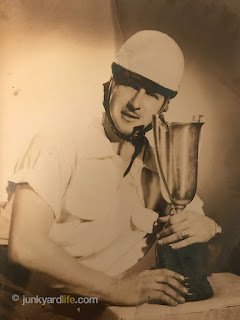 Sam Massey, Mike Massey’s dad, holds a victory trophy in 1950s. 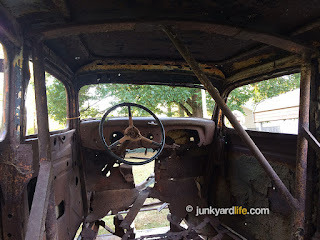 Before photo of the rotted firewall and flimsy sheetmetal. The body shell survived being hauled out of the "holler," barely. Bracing and electrical conduit reinforces the body around the perimeter. 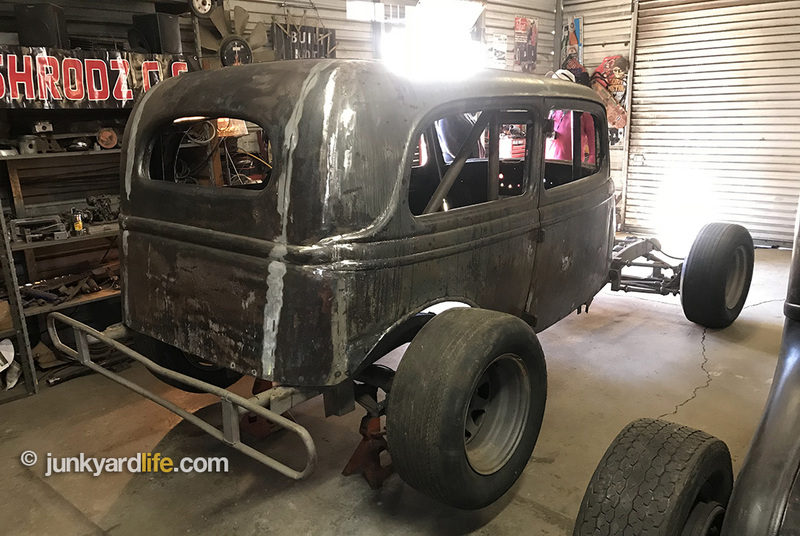 A roll bar and sturdier frame were the basis to build the ’34. Doors have new metal and bracing. 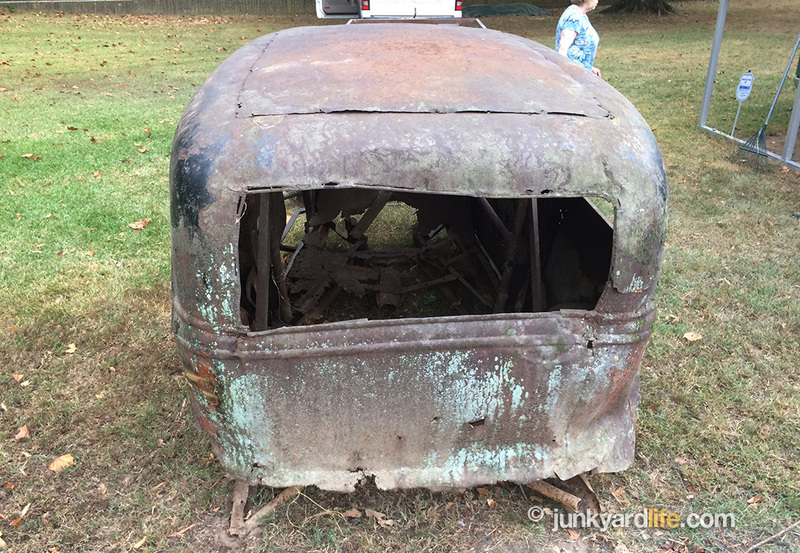 Another shot to compare the "before" beauty, patina, or rot. New 1935 center rear window section used to replace back window. This is what it looked like before the new metal work. After shot of rear metal fabrication. 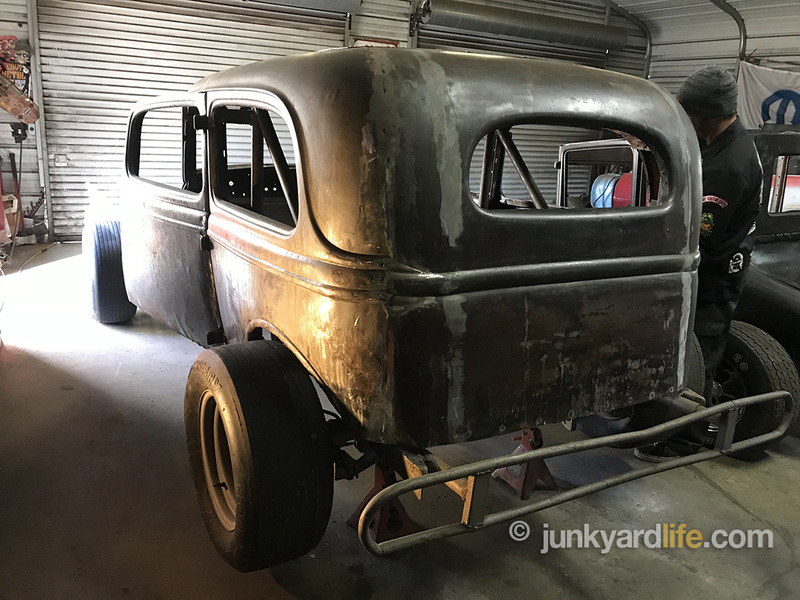 Lines of the ’34 were blended into the single ridge ’35 model Ford. 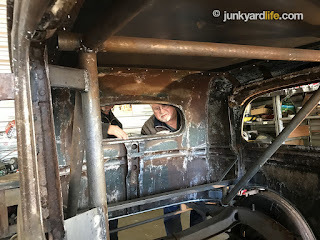 Mike Massey looks over the progress on his dad’s old race car. 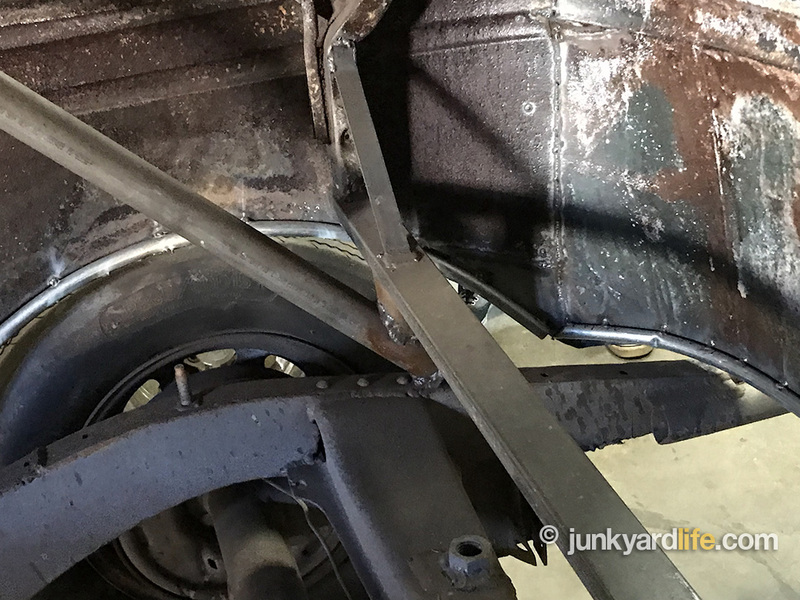 Daredevil is not a strong enough word for the drivers who braved tracks using angle iron for roll bars. She looks almost ready to roll from this angle. 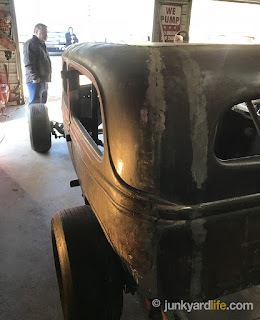 Know details about an old race car? Have a find of your own? Send us the word and we’re on the way! Send emails to Jody Potter at junkyardbull@gmail.com and Ron Kidd at Kidd403@bellsouth.net. 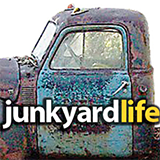 Subscribe to the Junkyard Life YouTube Channel, more coming.